My bows are mostly inspired by French bows 1800-1860. 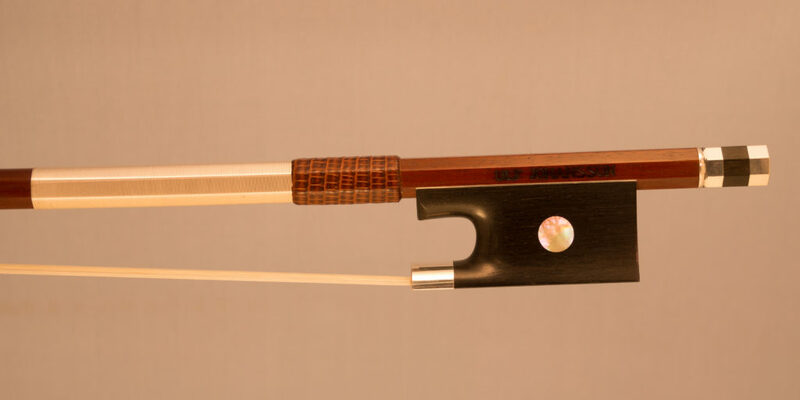 When I worked with this viola bow, I got a lot of inspiration from the work of Dominique Peccatte. 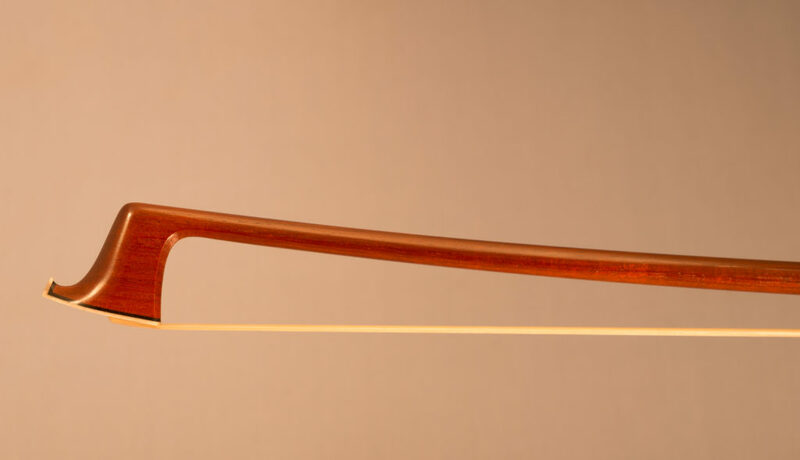 Round pernambuco stick. silver mounted ebony frog.